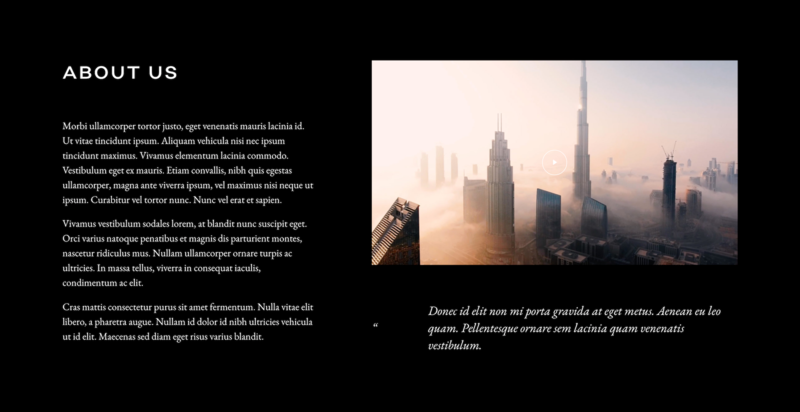 Our new theme CANNES is launched with 2 stylekits. 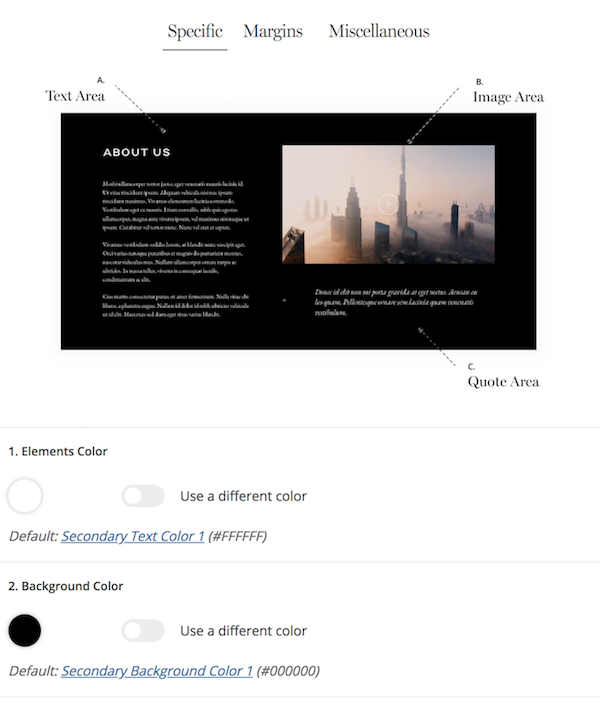 Both of them use several background and text colors and we played a lot with colors when creating the demo site. 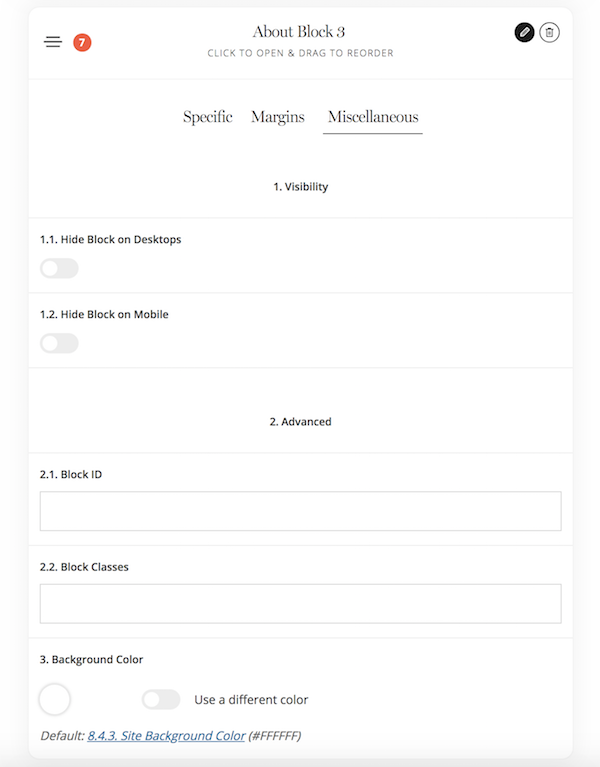 We thought it will be useful to provide very quick steps on how you can manage the block colors just in several clicks. It has the black background and white text color. 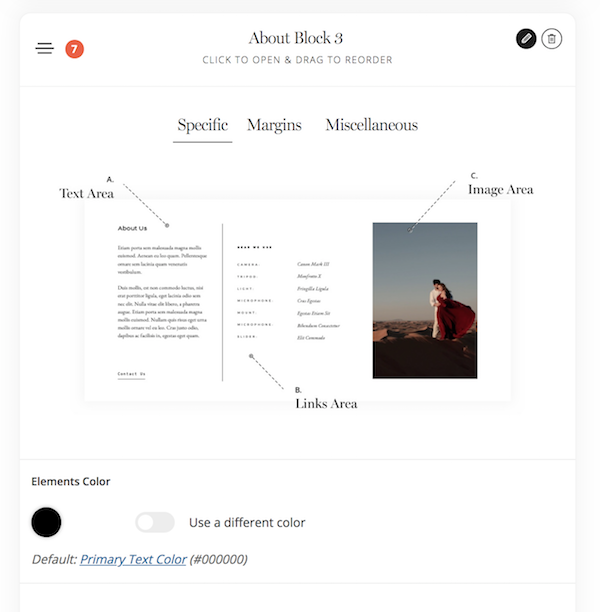 If you are working with the block that uses default colors for the background and elements, in this case the elements color will be available on Specific tab, but the background color will be available on Miscellaneous tab (that is our standard colors options locations).